Thirty-one members of the 2, 4, 5 Club met at Old Lyme Grange on April 30, 2010 for their 60th Anniverary meeting. Way back in 1950, Granges meeting on the second and fourth Fridays decided it would be fun to meet on a fifth Friday once a year. In this way they could neighbor with Granges they could not otherwise visit. 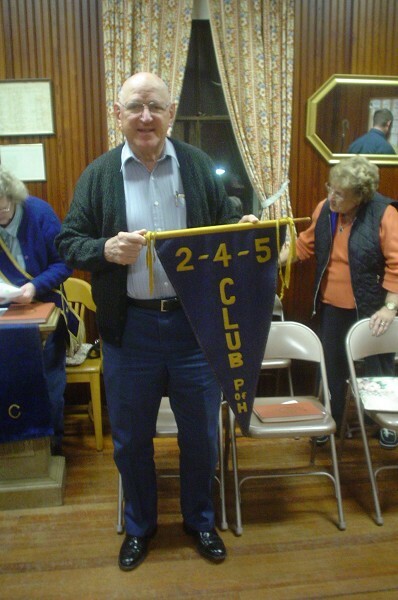 After a few meetings a banner of blue and gold in the shape of a triangle was created. 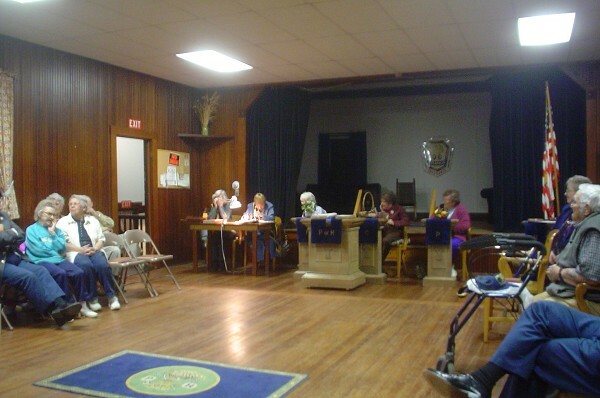 It is presented each year to the Grange having the largest attendance at the meeting. The collection is always sent to a worthy cause. 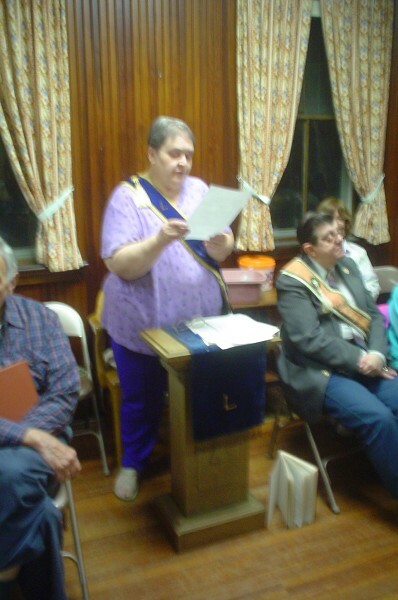 This year, at the suggestion of Barbara Kulisch, members voted to add a Country Store to the festivities this year. The meeting is all in fun, with Lecturers of the various Granges presenting part of the program and all the Granges contributing refreshments. 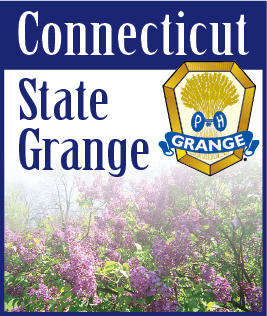 Next year's meeting will be held at North Stonington Grange on April 20, 2011. All are welcome!